While the Wiccan/Pagan Esbats are connected to the moon cycles, the Sabbats are connected to the sun. There are eight Sabbats through the year, celebrating the turning of the wheel of the year and the change of the seasons. The eight Sabbats consists of four solar holidays and four cross-quarter days, marking the shift from one season to the next. The four solar holidays of the year are Ostara – Spring Equinox, Mabon – Autumnal Equinox, Yule – Winter Solstice, and Litha – Summer Solstice. 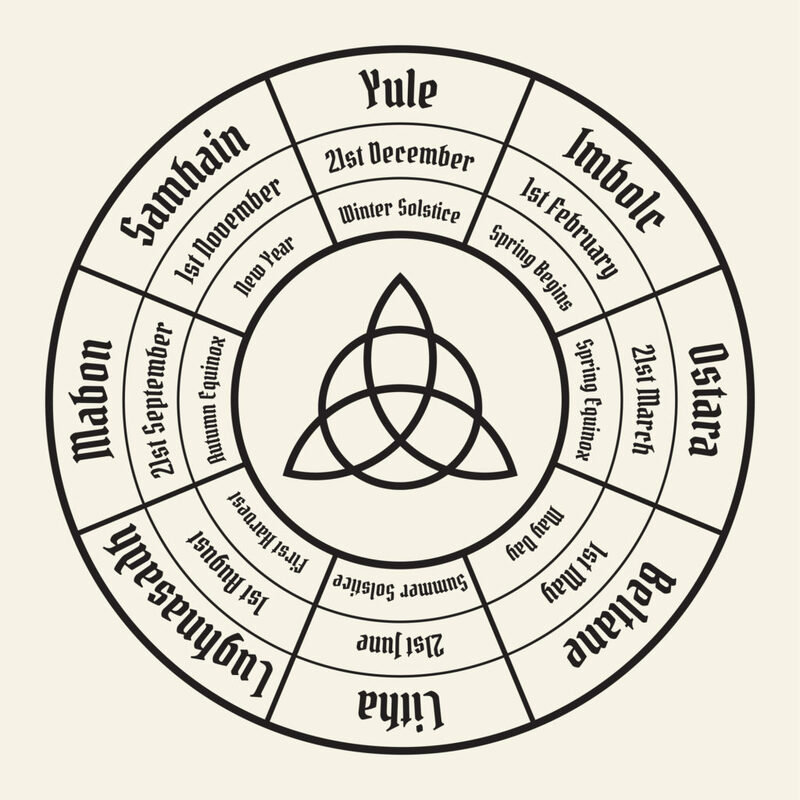 The four pagan cross-quarter holidays are Samhain, which is also considered the witches new year, Imbolc, Beltane and Lughnasadh. *The dates change from year to year, and is also dependable on time-zones, so always look up the exact date each year for where you are in the world.